At the heart of nearly every structural moving project is a quality Unified Jacking System. It ensures that each jack will receive exactly the same volume of oil and extend at the same rate, regardless of the weight or pressure on it. 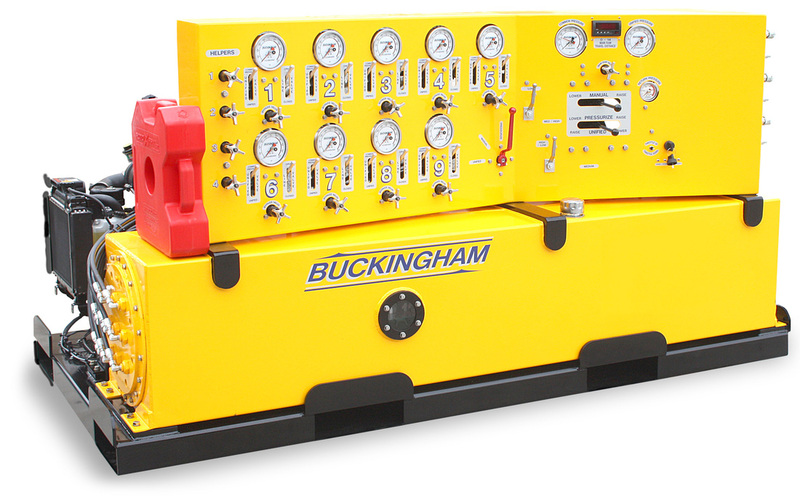 Buckingham Unified Jacking Machines are built with the safety, reliability and durability that are needed to perform dependably on the job day after day. 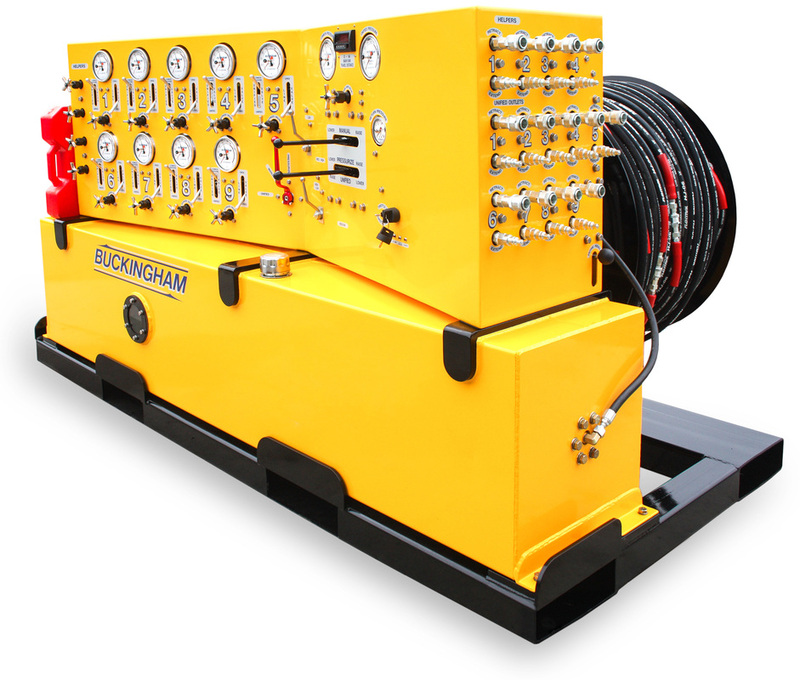 Tank-Mounted Panel with an end mounted hose reel and quick coupler manifold. This style is convenient to use when operating on the ground. 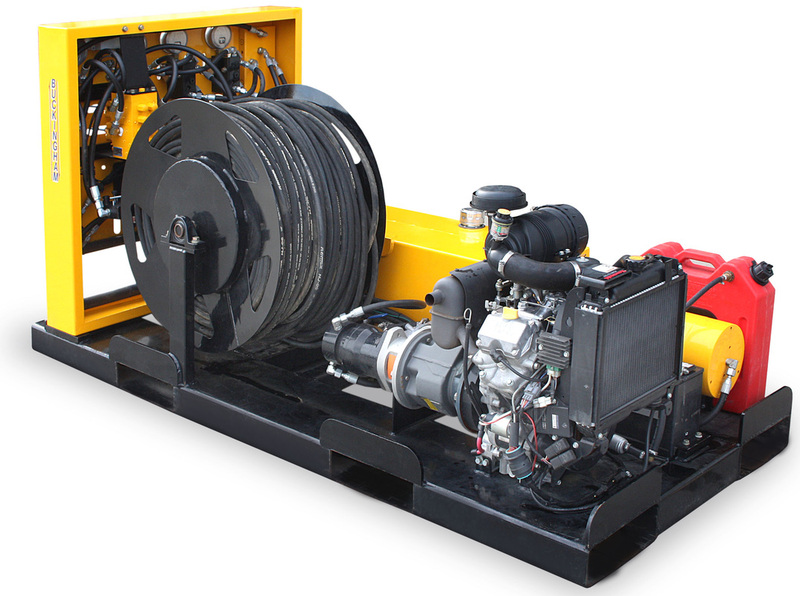 Side-Feed Hose Reel has an end mounted panel and quick coupler manifold, with a side mounted hose reel. Used primarily where there is access to two sides of the machine. Panel-Feed Hose Reel has everything accessible from the front panel including gauges, hose reel and the quick coupler manifold. Options include Single-Acting, Long Stroke, other Engine Choices and Custom Paint Colors. 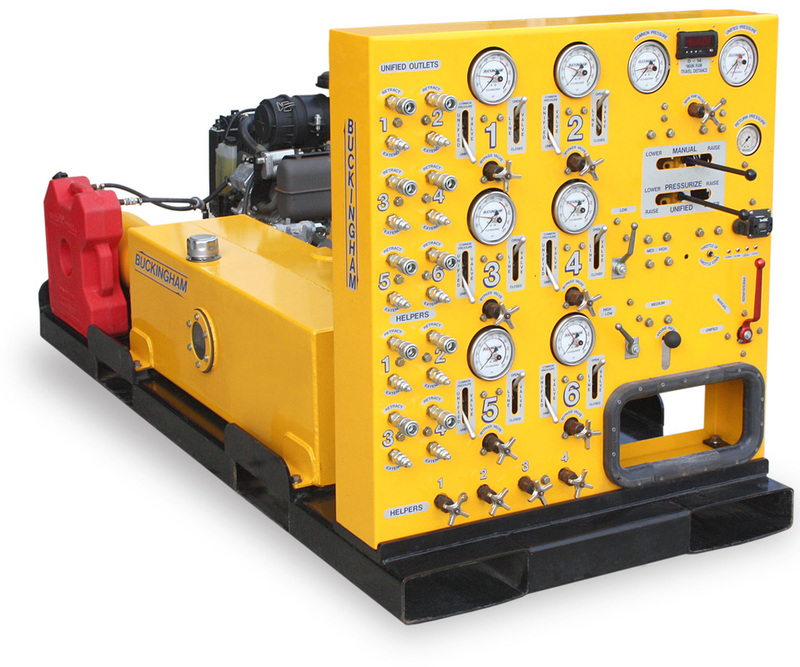 The Tank-Mounted Panel on this 9-Port Unified Jacking Machine offers added convenience since the operator is able to stand at the controls.